GeoProMining, a diversified international group of mining companies (GPM or the "Company") jointly with local authorities of Ararat, Vardenis and Agarak cities celebrated a series of events, dedicated to the 73rd anniversary of the Great Patriotic War, as well as the 26th anniversary of the formation of the army of the Republic of Artsakh. Thus, within the framework of festive events, the ceremony of opening of "Khachkar" took place. 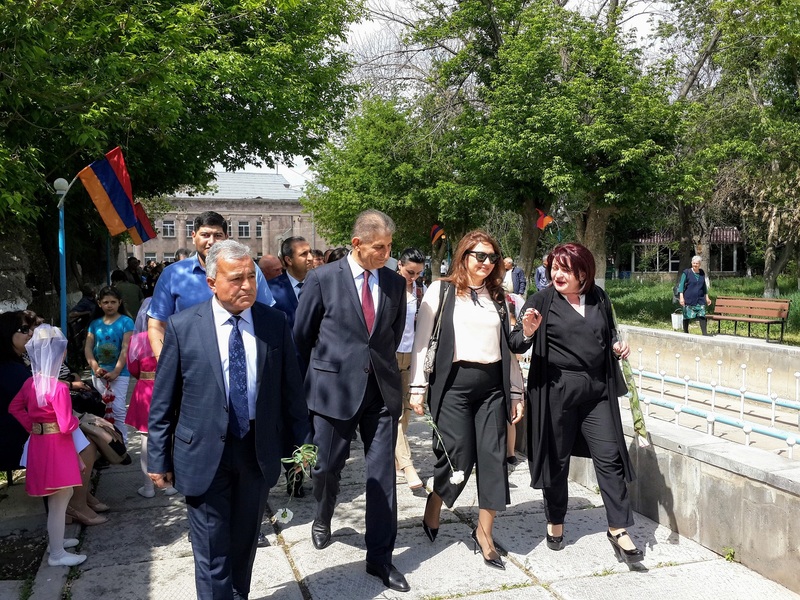 This monument – Khachkar, is a gift to the city of Vardenis, which commemorates the memory and the honor of the people, who participated in the liberation struggle of Artsakh. "The tradition to celebrate the Victory Day-May 9 is never revised in our company. This is the most significant date in the history of Armenia and Russia, once again proving the development and strengthening of the centuries-old friendship of thepeople of Armenia and Russia. This is the second Khachkar, which GeoProMining presents to Armenia. 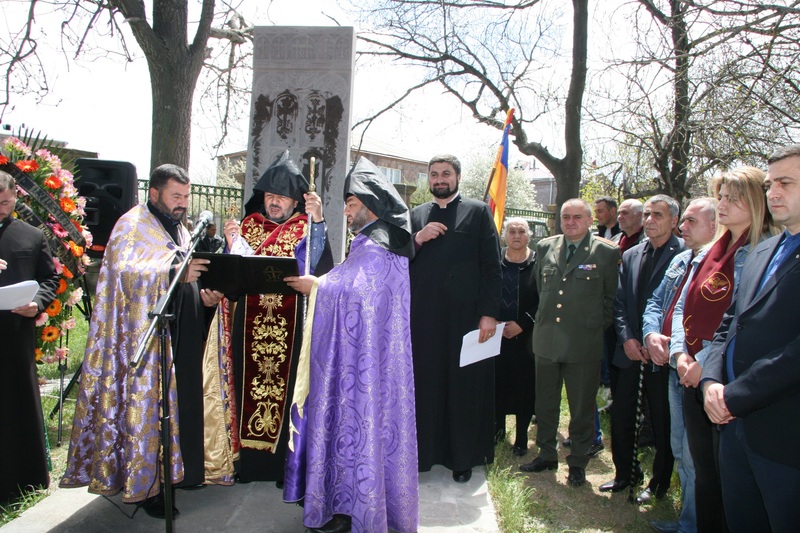 The first monument was presented to the city of Agarak in 2015, dedicated to the centennial of the Armenian Genocide of 1915. "- said the General Director of GPM Gold,Anatoliy Gogotin. 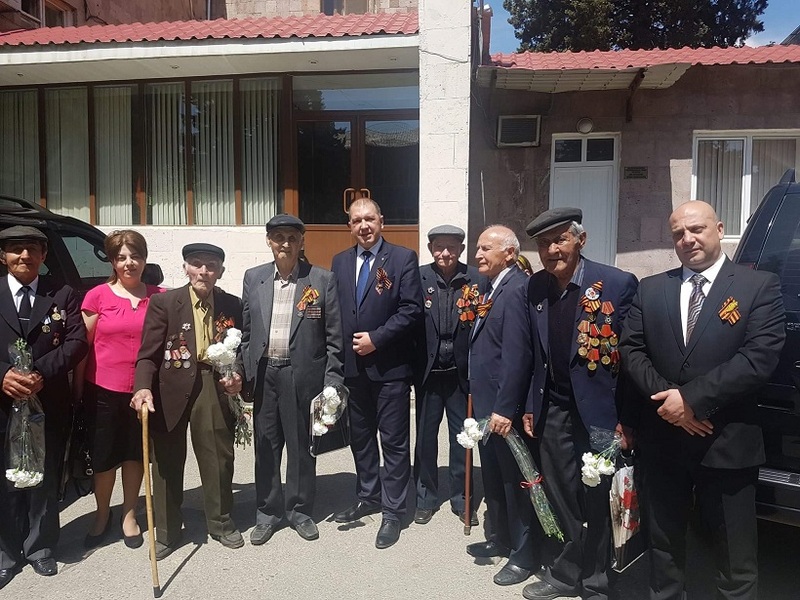 "Every year, traditionally, employees of the Agarak Combine, and I personally visit the veterans of the Great Patriotic War of Megri and Agarak. As yet, every year there are less and less veterans of the war, but our main task is to preserve the memory." - commented the General Director of Agarak copper-molybdenum combine Andrey Sinyakov. 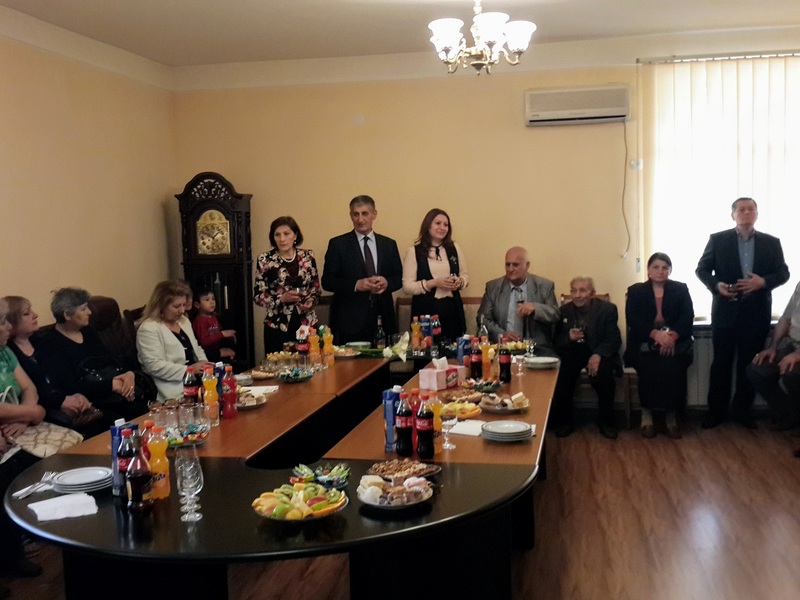 Veterans of the Great Patriotic War, relatives of those who died in the Artsakh war, employees of the company, members of administrations of local communities and residents of the city took part in the celebrations. As part of the festive events, meetings with veterans, marches of memory and honor, laying flowers at monuments were held. 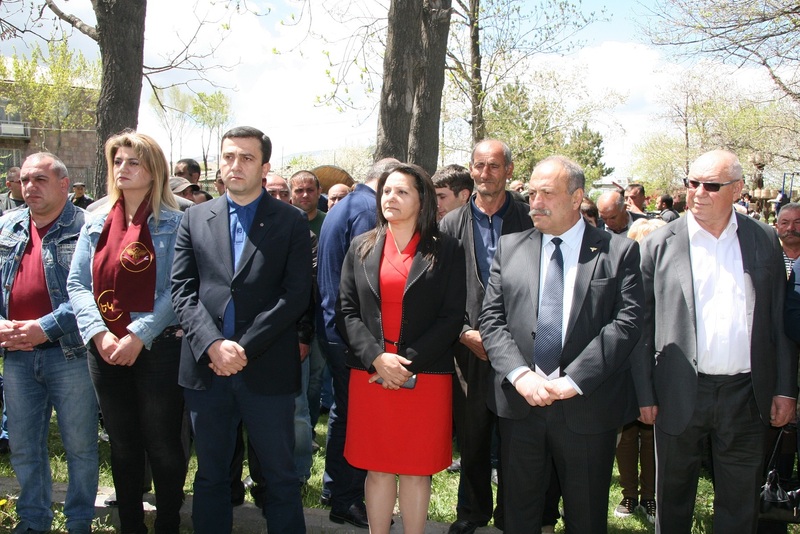 All veterans of the Great Patriotic War, and the families of those killed in the Artsakh war were provided with material assistance and presents from the GPM Company. "May 9 is the date in the heart of everyone, who knows the value of the peace, who above all places honor and freedom of the Motherland. The heroic deed of our veterans has predetermined the peaceful, decent life for many generations, gave them the opportunity to create and boldly go forward. And today their children, grandchildren and great-grandchildren confidently keep this victorious heights, work for the present and the future of their country, faithfully serve the Motherland, honorably respond to modern challenges, guarantee the successful development, power and prosperity of our Motherland," said the president of GeoProMining,Roman Khudoliy. “GeoProMining” founded in 2001, is an international private company with diversified resource base of gold and other metals. “GeoProMining” enterprises are located in Russia and in Armenia. In Armenia “GeoProMining” owns two enterprises - Agarak Copper-Molybdenum Combine (AMMC) and “GPM Gold”, which operates the Sotk gold mine and the Ararat gold recovery plant. The company's social investments in the Republic of Armenia over the past 10 years exceeded 8 million US dollars.